On Wednesday April 4th, the Miami Marlins will debut on national, primetime, television. With one week until this monumental event, it is time to review how this team has shaped up this spring, and what a fan can expect for Opening Night. 1) Jose Reyes, SS: One of the most dynamic players in the league, Reyes is Hanley Ramirez’s “coffee in the morning.” Leading off, his OBP will hopefully be on the plus side of .360, and steal in the ballpark of 45 bases while scoring 110 runs. 2) Emilio Bonifacio, CF: The two-spot in the batting lineup should belong to the smartest hitter. Bonifacio has built up plate discipline in his last few seasons with the Fish, but his new regular outfield position might disturb his hitting mentality. But Bonifacio belongs to the fastest top of the order in the majors, and his speed is an immensely valuable tool to fall back on if all else fails. 3) Hanley Ramirez, 3B: A new defensive position can always mess with a hitter’s head, but Ramirez’s strong Spring Training is hopefully a foreshadowing of an MVP season. 4) Mike Stanton, RF: Don’t miss this kid take batting practice. Currently nursing a sore knee, and bruised wrist, Stanton is questionable for Opening Day, but should certainly return soon after if he misses April 4th. 5) Logan Morrison, LF: Morrison is also questionable for the first game, as his knee is banged up as well. But the youngster can certainly build on a productive 2011 season if he stays focused. 6) Gaby Sanchez, 1B: The Miami native is especially excited to be a part of this re-branded franchise, and his positive attitude can do nothing but help develop his great potential. 7) John Buck, C: Even the sleekest catcher’s mask in the game cannot make Buck hit better. Last season he batted a dismal .227, but on the plus side, his opposite-field power is as good as anyone’s in the game. 8) Omar Infante, 2B: Infante rounds out the infield of former All-Stars. He will look to provide a bottom-of-the-lineup spark, and improve his .315 OBP of last season. 9) Josh Johnson, P: JJ was announced as Opening Day starter by Ozzie Guillen even before Spring Training commenced. His health is vital to the success of Miami this year. As long as the ace stays healthy the whole season, Miami’s rotation will be as star-studed as any. Especially with the current injuries to Stanton and Morrison, backup outfield spots are up for grabs. 2009 rookie of the year Chris Coghlan is looking to bounce back from two straight injury-plagued seasons and win a major league spot. Spring Training invitees Aaron Rowand and Austin Kearns have made strong cases for spots this spring, and are certainly still in contention for an Opening Day position. 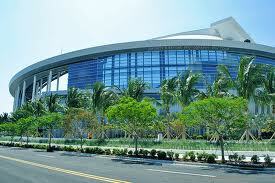 On April 2nd, the Marlins will be hosting the Yankees at the new park for an exhibition, a game at which I will be in attendance. Look for a complete recap of the trip and game experience sometime next week.